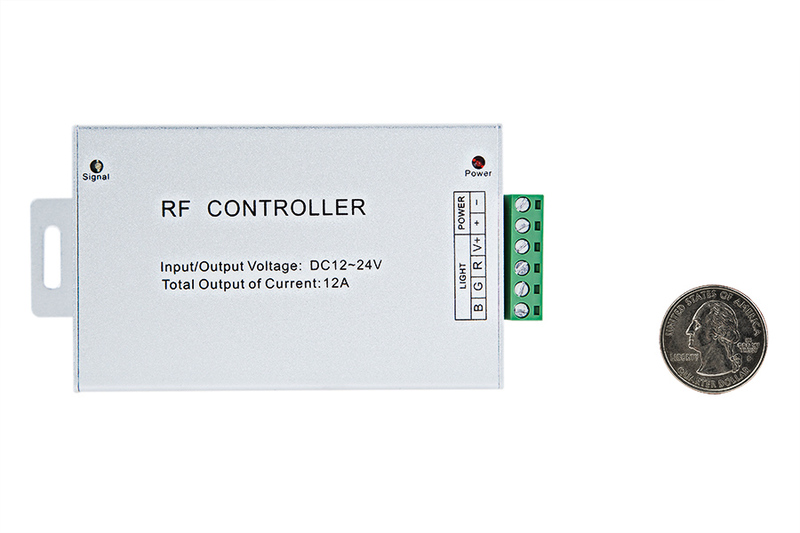 Universal Red/Green/Blue (RGB) controller and dimmer with handheld RF Remote can control any 12VDC RGB LED products except the RGB-2 light bar. 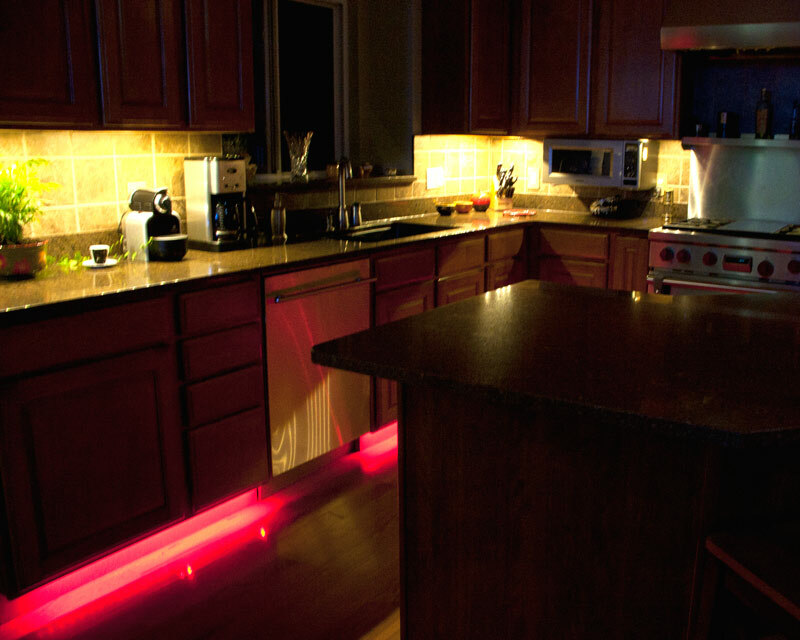 8 individually selectable Dimmable Static Color Modes. 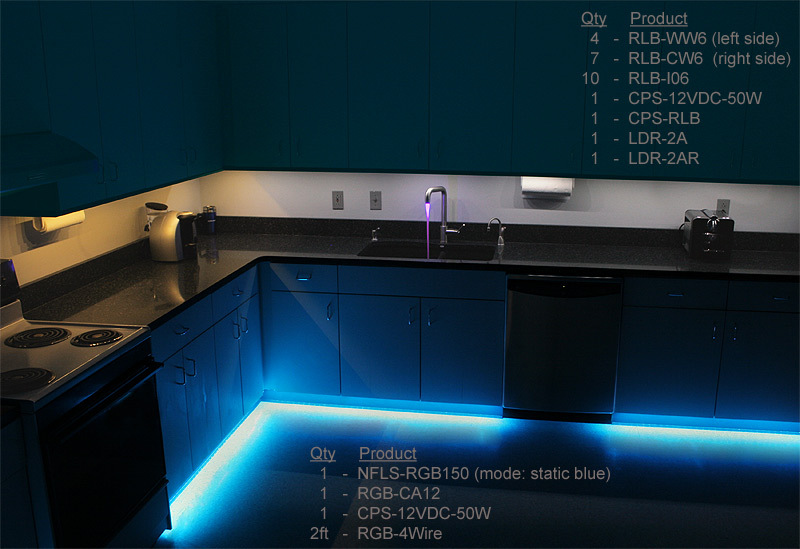 6 individually selectable Dynamic Color-Changing Modes with Speed, Brightness, Play/Pause and ON/OFF controls. Maximum load is 4 amps per channel, 12 amps total. 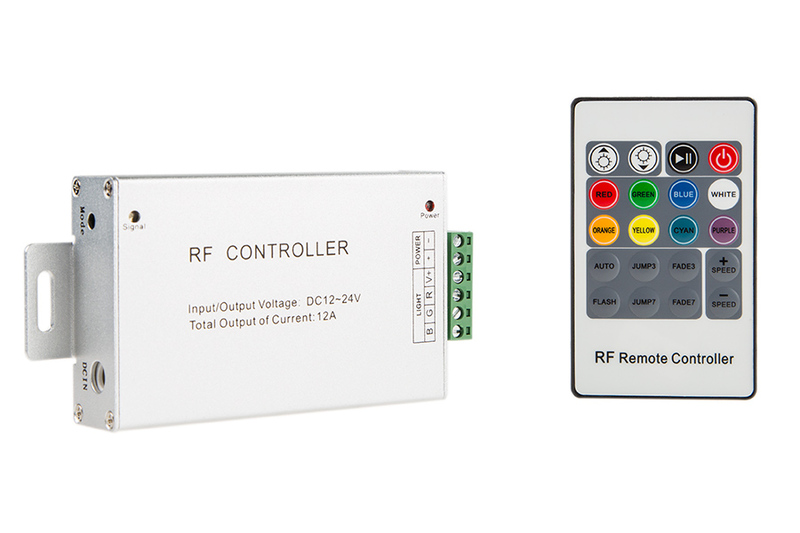 Universal Red/Green/Blue (RGB) controller and dimmer with handheld RF Remote can control any 12VDC RGB LED products. 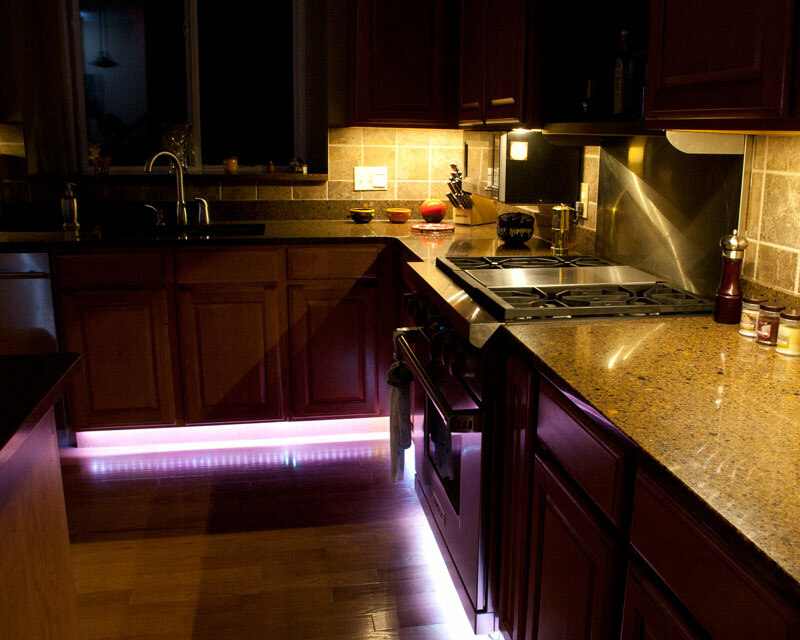 8 individually selectable Dimmable Static Color Modes. 6 individually selectable Dynamic Color-Changing Modes with Speed, Brightness, Play/Pause and ON/OFF controls. Maximum load is 4 amps per channel, 12 amps total. 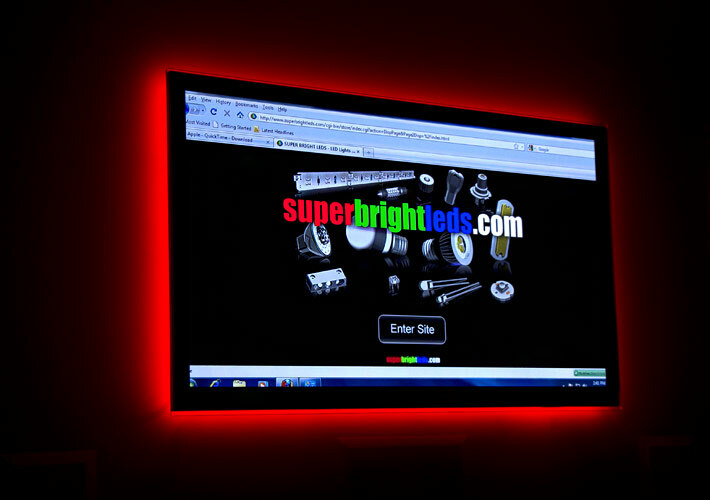 The Model LDRF-RGB4 is used to control 12 Volt RGB LED Light Bars and Light Strips with common anode wiring, such as our xFLS-RGB series Light Strip. 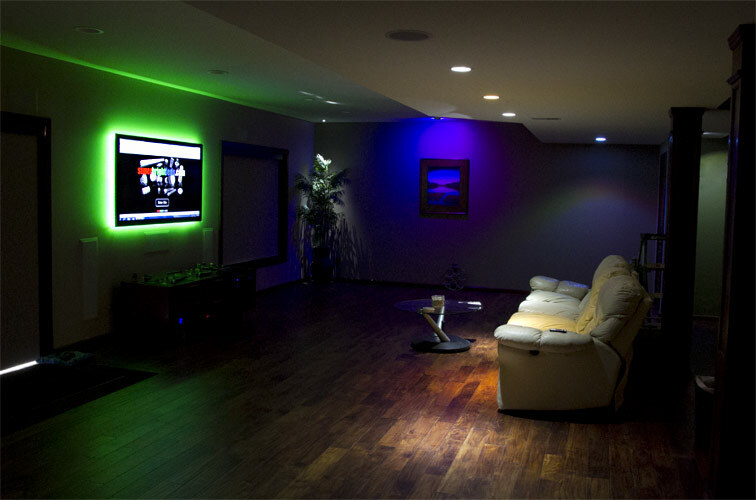 Using the included hand held wireless remote controller for direct accessibility to all modes, RGB Light Strips can be set to one of eight different static colors or one of six different dynamic color changing patterns. The remote control can also adjust pattern speed, brightness, play/pause, and turn system ON and OFF. 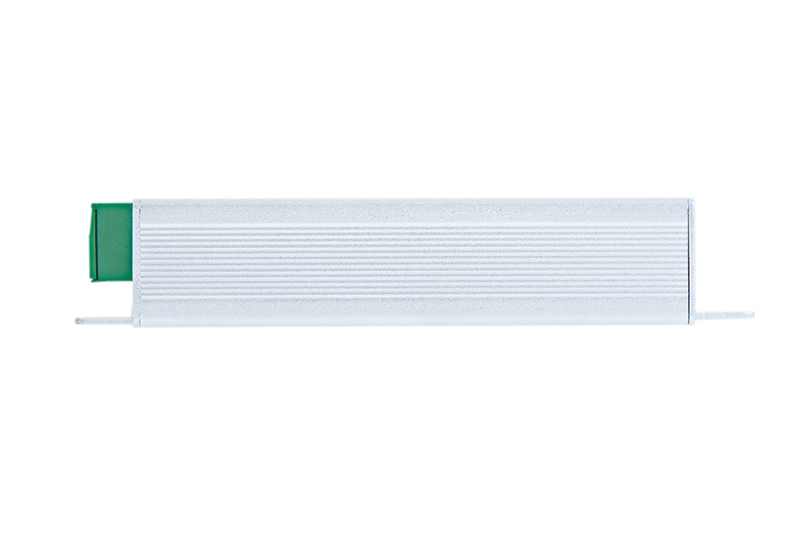 With 12 Amp continous load capability, the LDRF-RGB4 can drive up to 30 meters of our xFLS-RGB Light Strips. For longer runs use our RGB Amplifiers. 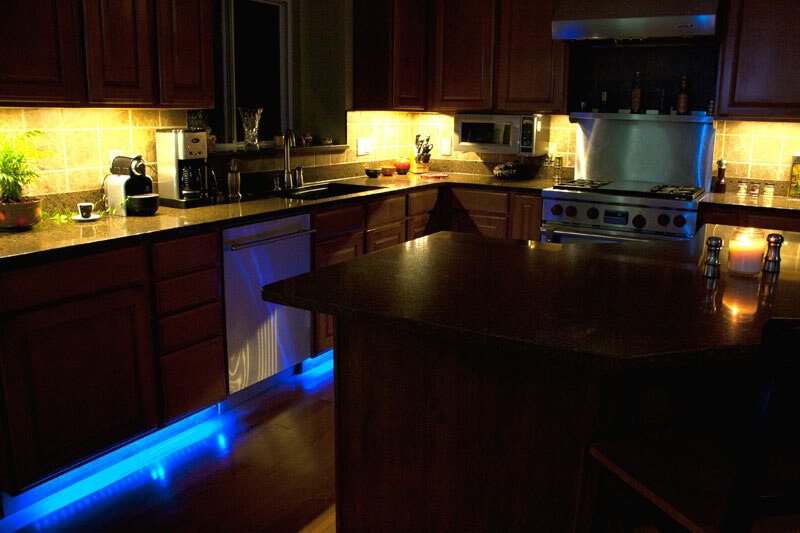 Only power with 12VDC Power Supply and connect to 12 Volt Light Strips or unit will be damaged. 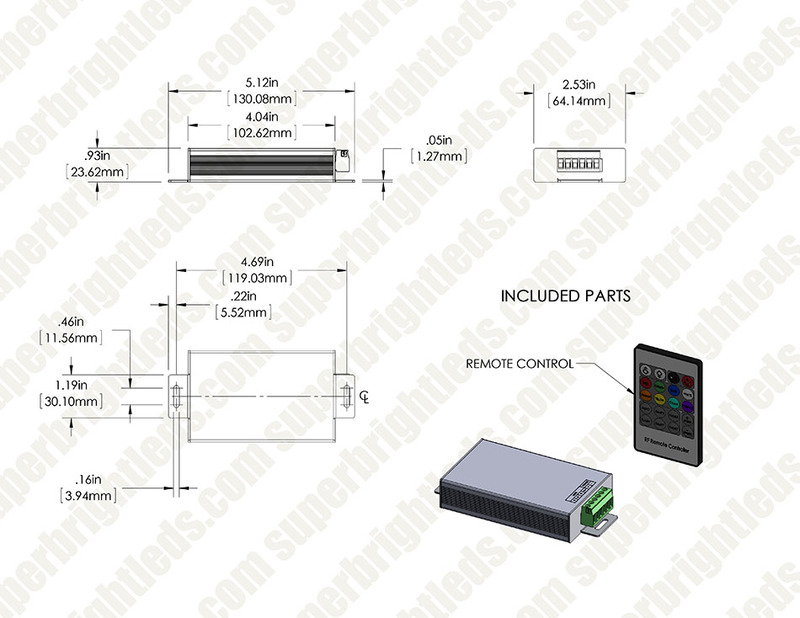 Our Compact 50Watt and 24 Watt Power Supplies will plug into DC IN jack on left side of unit. 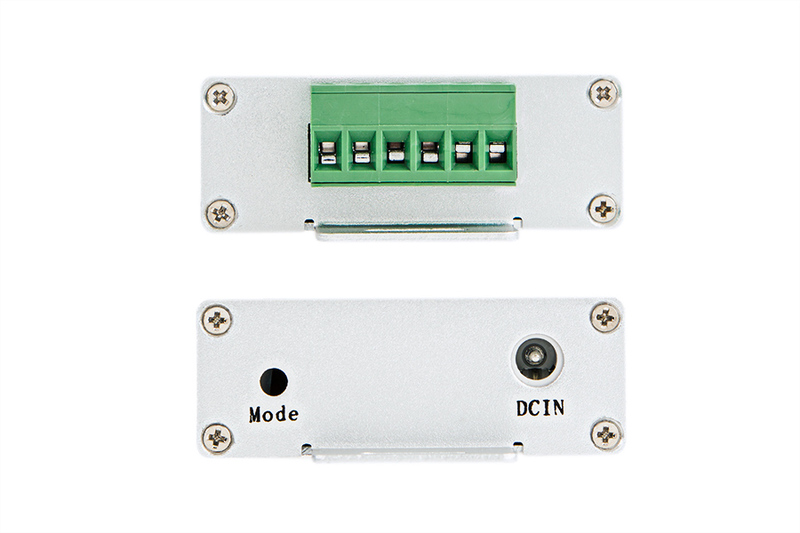 Our Enclosed Power Supplies can be direct wired to "+" and "-" terminals on removable Green connector on right side of unit. Connect according to the Wiring Schematic drawing and note that the Green Connectors can be unplugged from the unit. 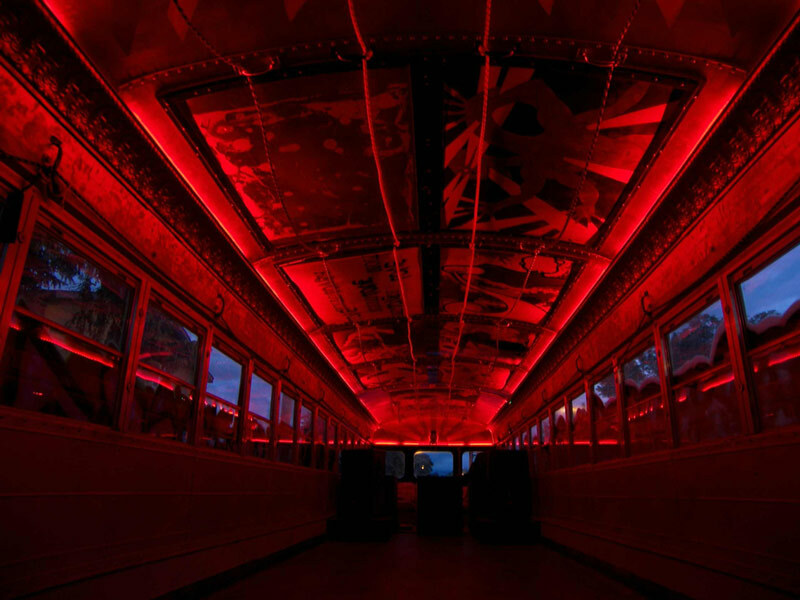 Red LED will come on when unit is receiving power, Green LED will flash when RF signal is received from handheld transmitter. UP and DOWN buttons will only work when unit is in one of the four color-changing (dynamic) modes.